I-CAR®, the Inter-Industry Conference on Auto Collision Repair, the not-for-profit organization created in 1979 by the collective automotive collision repair industry (Repairers, Insurers, OEMs, Suppliers, Schools and Services), is chartered to assist the collision repair industry with programs that help industry individuals and businesses develop and access the information, knowledge and skills required to perform complete, safe and quality repairs. 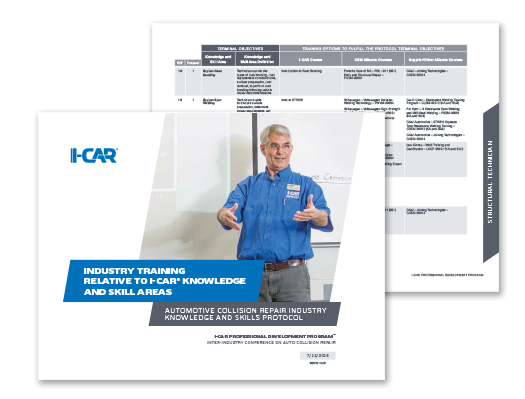 Accordingly, I-CAR’s Professional Development Program™ is designed to establish clarity on the requisite terminal and enabling learning objectives, documented as knowledge and skills, to achieve such repairs, as defined by industry stakeholders in cooperation with I-CAR. 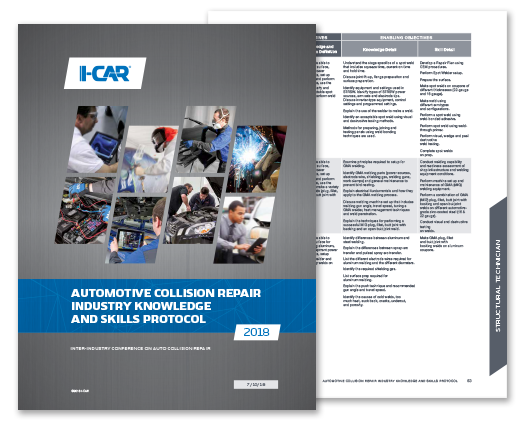 Further, industry-wide adoption of the program as the industry standard for training contributes to industry consistency, uniformity and efficiencies for all stakeholders, while also contributing to the industry’s objective of complete, safe and quality repairs.